Ok. I’m going to start off with a cheesy cliche just to get it over with. 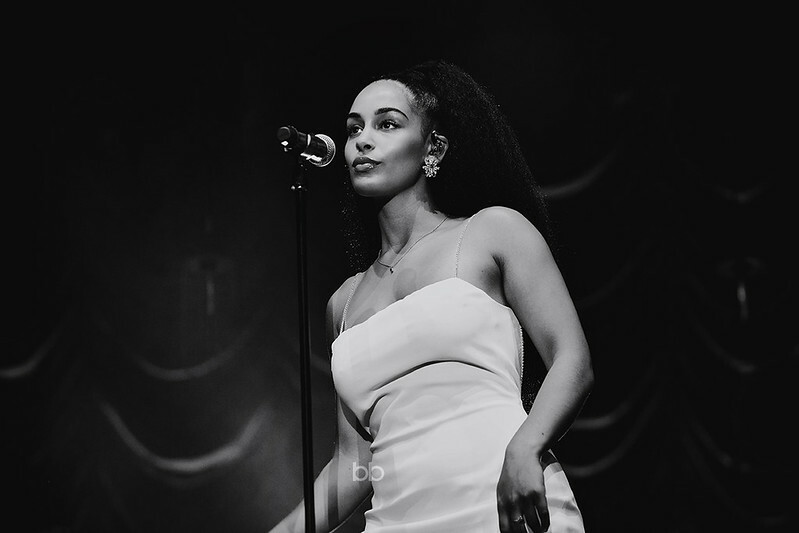 Jorja Smith has the voice of an angel. Right. Now we’ve got that over and done with, I’ll continue. I can’t help but feel that the way the current music industry works, it’s difficult to get a break before your first album or two. It takes something impressive and majestical to make a lasting impression that sticks in the brains of the masses. 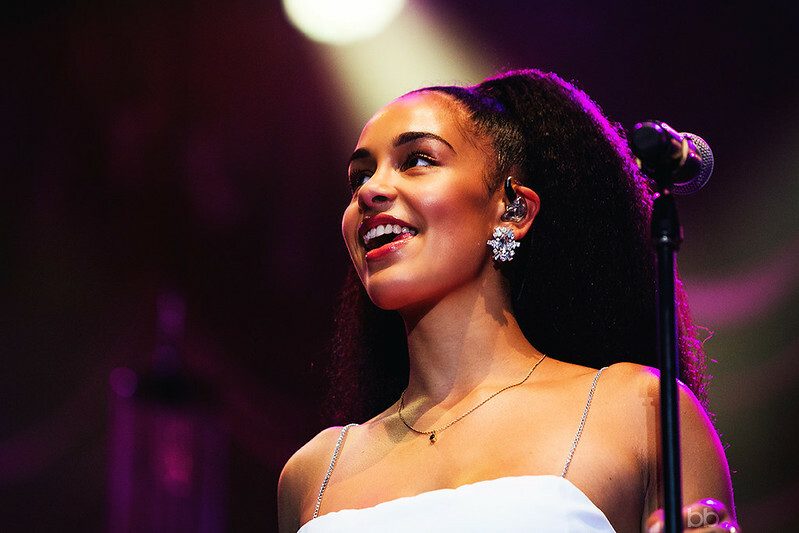 This doesn’t seem to be an issue for the young prodigy from Walsall, as she seemed to reach the vast heights of success almost a year before the release of her debut album. Tonight’s support came from Ezra Collective, a new wave Jazz collective with the only vocals coming from the drummer as he introduces the band. 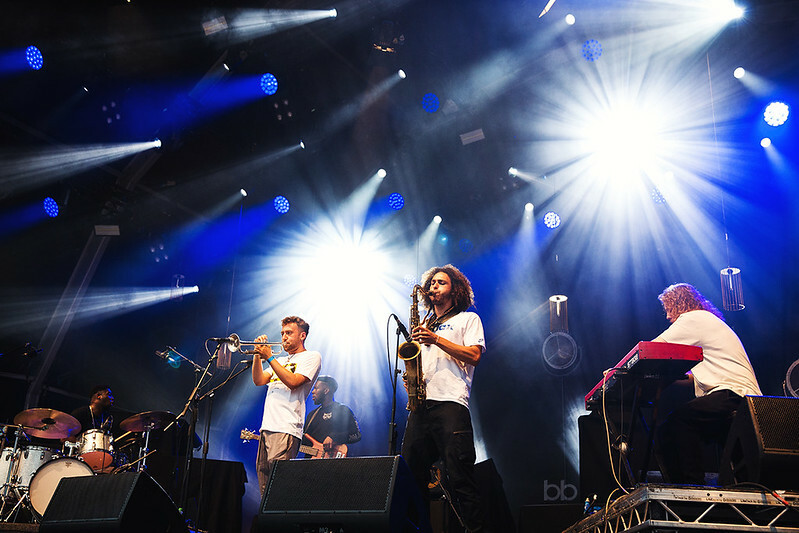 A slight musical contradiction as certain elements of their sounds would sit well at a chilled out Jazz bar, yet others would go down a storm at Jazz clubs with those watching, accompanying their listening skills with dancing. For tonight, there was not a single body unmoved by the cool vibes that seemed to take over. There are many drummers in this genre that I would consider to be world class. Eric Moore, Devon Taylor and Adam Deitch being a small handful of these. But tonight, I saw another drummer that may have no problem cementing himself into that group. 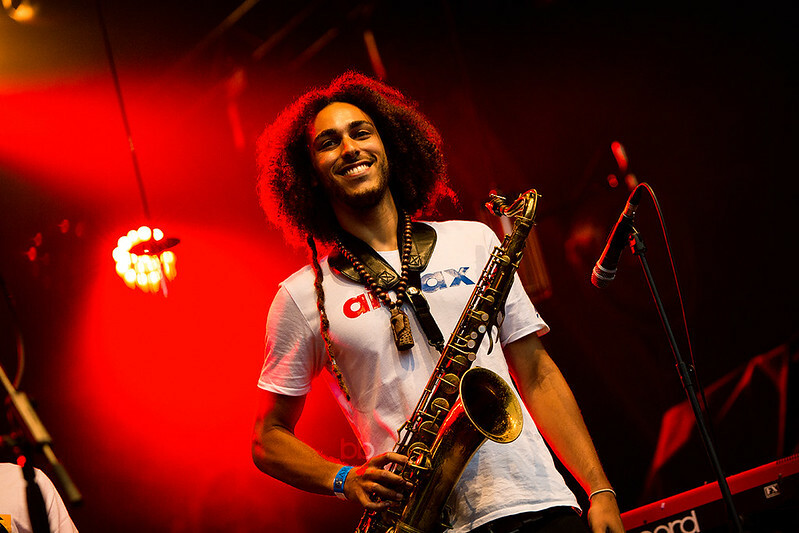 Femi Koleoso is an example of the ideal musician you want in your band. He plays for the song, not for himself. This was seen during his live performance as he could be seen grooving to the song without trying to show off, until his big solo came. A couple of minutes of a wild animal tearing the kit apart, before instantly slotting back into his funky groove that carried each song in the set. 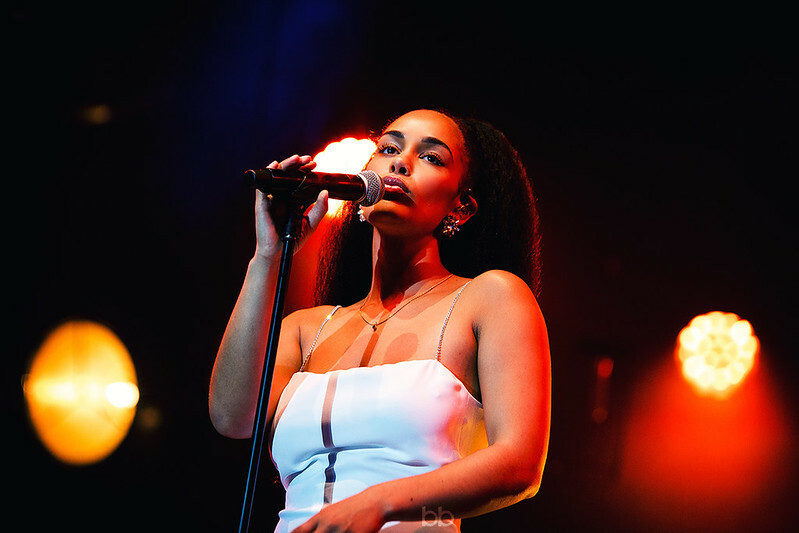 With Anti-Trump protests fuelling London today, Jorja Smith injects a sense of calm as she enters the space to serenade the crowd with Lost and Found, the opening of her debut album of the same name. Ambling onto the stage with a strong glow about her leaves not a single spectator without their jaws to the floor as the beauty in her voice is matched by her physical form. She has strong vibes of Corinne Bailey Rae and Jill Scott in her music, sounding like a voice that has aged well, even though she is only 21 years of age. Throughout the set we hear an extremely delicate voice that is held with enormous amounts of care, like a piece of irreplaceable art. This was especially the case as tonight’s show is held at Somerset House, an extremely popular art gallery in the heart of London. This was a perfect setting, with Romanticism instrumentals and Modernism like vocals, to fit the one night only exhibition at the centre of the gallery. In the music world we’ve seen many incredible collaborations where two contrasting voices suit each other perfectly; David Bowie and Mick Jagger with ‘Dancing In The Street’, and Tom Petty and Stevie Nicks, ‘Stop Draggin’ My Heart Around’. I know these artists are legends in their respective genres but these two artists are destined to reach the heights of the industry. 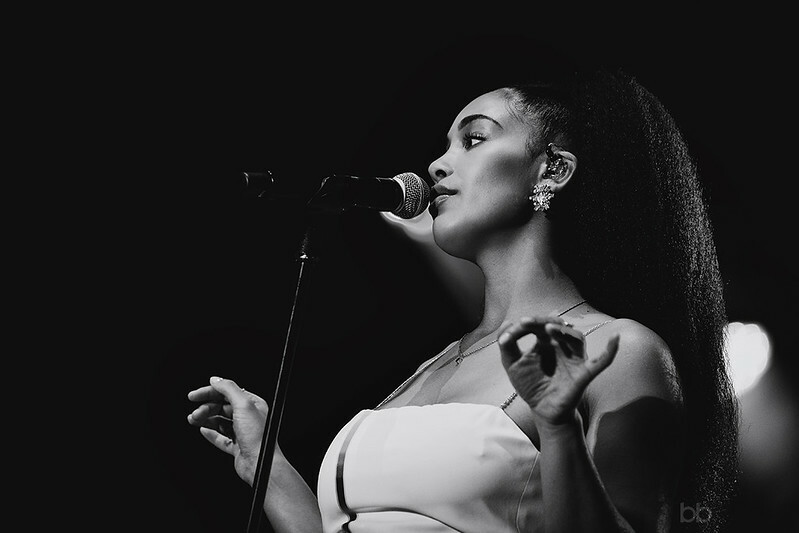 Jorja Smith and Loyle Carner create a match made in heaven with delicate R&B vocals and low and powerful bars. An experience that viewers with treasure as an incredible live experience. 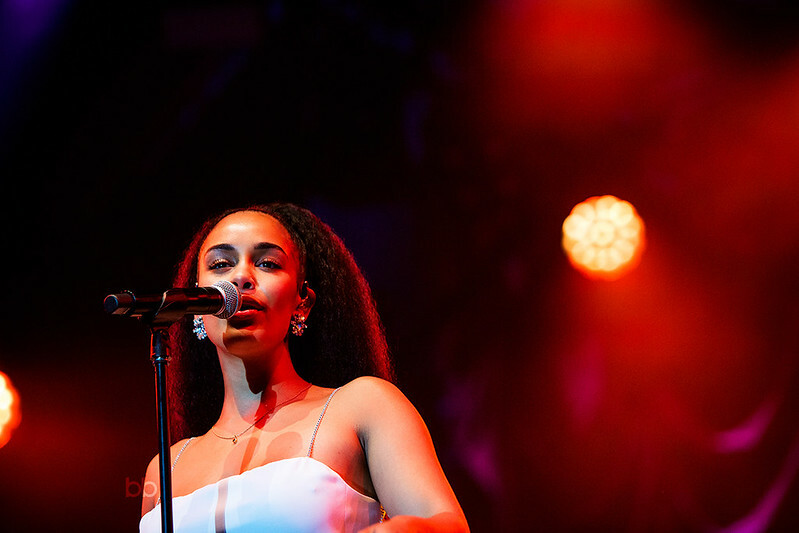 Last year, Jorja Smith touched the hearts of thousands as she is an unfamiliar face for Jools Holland’s 25 anniversary of the popular ‘Later with Jools Holland’. She was the only artist to play, who’s music was unknown to the masses in a line up that saw heavyweights such as Foo Fighters, Van Morrison and Paul Weller on the bill. A single spotlight and a piano are all she needed to accompany her incredibly pure voice as she performed ‘Don’t Watch Me Cry’ in her television debut of the song. Being able to experience this live is extremely difficult to put into words. It’s a moving experience like no other with every single word creeping through ears, allowing everyone in Somerset House to feel the hurt and pain of the song. 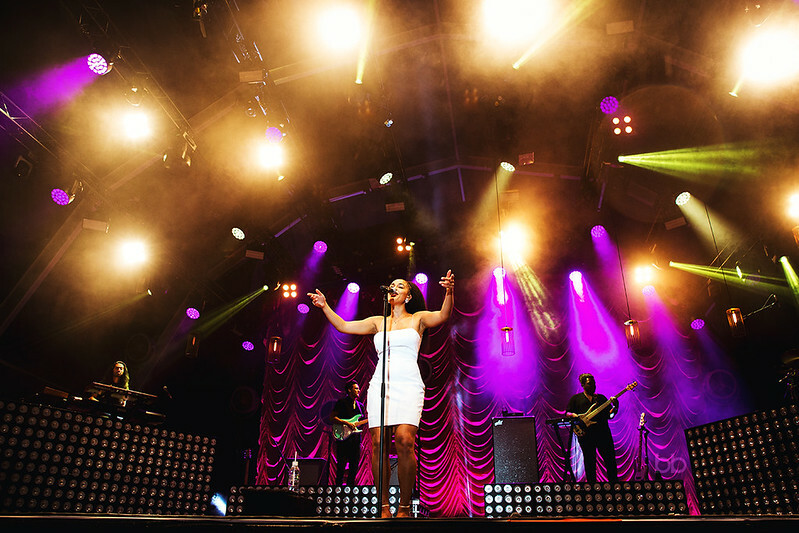 It’s safe to say there wasn’t a dry eye in sight as Jorja thanks the crowd and bids us farewell after a show that contains much maturity and professionalism for a musician of her age.